Bloomberg’s Echoes blog has published my short piece on US naval policy after the War of 1812 — including the construction of a “ghost fleet” of major ships. Read the column. It draws on America’s First Great Depression. Story also picked up on gCaptain and History News Network. 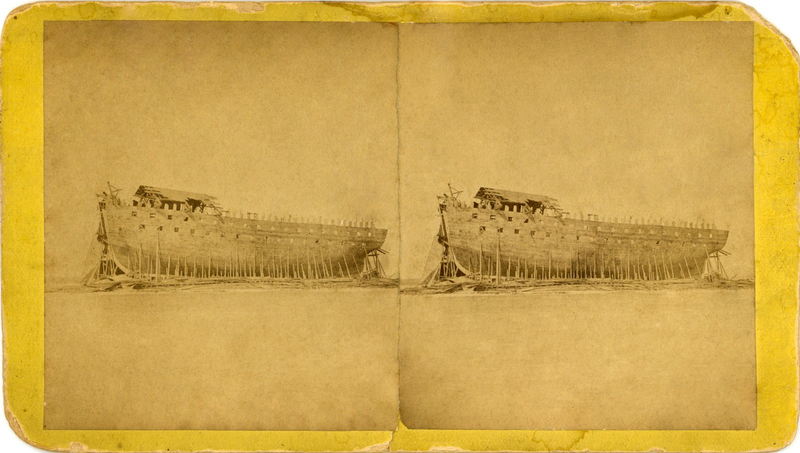 Image on right: a stereographic photo of the USS New Orleans, taken in the 1870s. Its keel was laid at Sackets Harbor NY in 1815. Had it been finished, it would have been one of the largest warships in the US Navy, and perhaps the world.